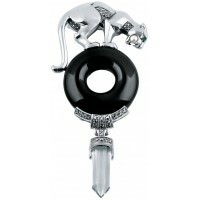 This sterling silver panther brooch, crafted from hallmarked sterling silver, is inspired by the leading jewellery designers of the 1930's. 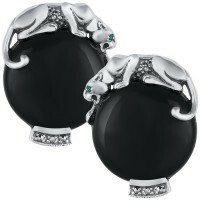 The famous Duchess of Windsor collection was produced with iconic craftsmanship symbolizing the character of the era. 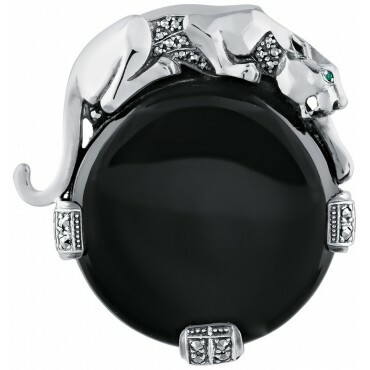 We have drawn inspiration from these magnificent pieces and created a collection of modern day masterpieces. 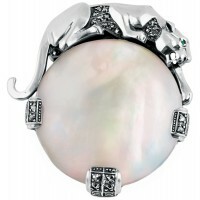 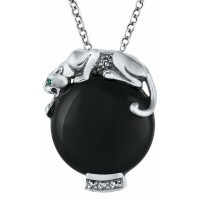 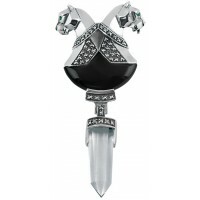 Set with onyx, marcasite stones and an emerald set in the eye of panther, this brooch would make a unique and memorable gift.